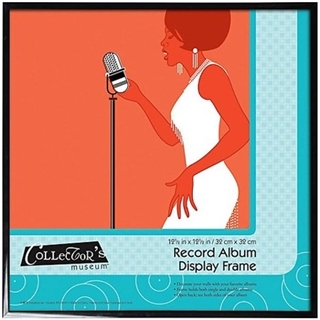 Display your favorite albums in these protective frames. Perfect for your collections - old and new. 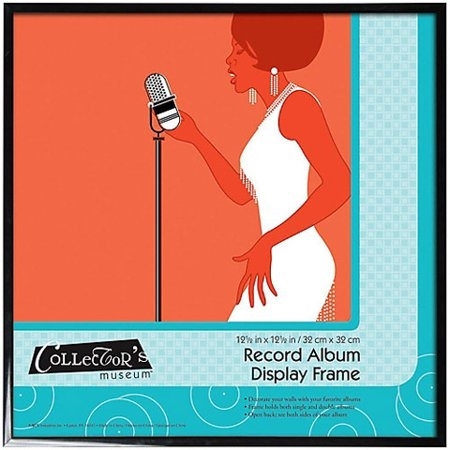 Black aluminum frame with clear plexiglass front. Holds both single and double albums. Dimensions: 12.5" x 12-.5".